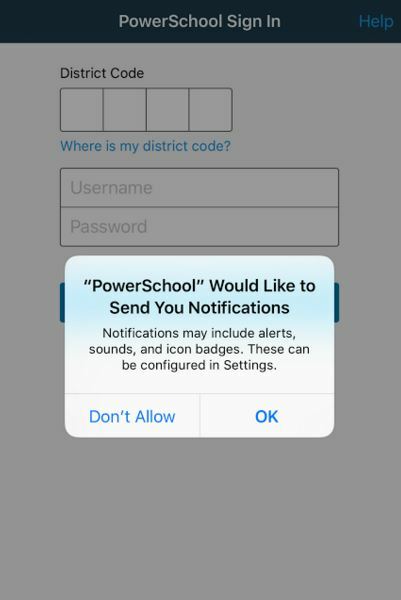 After you download the mobile app to your device, the app will need to point to the correct PowerSchool server to authenticate. The PowerSchool Mobile app will walk you through an onboarding process. 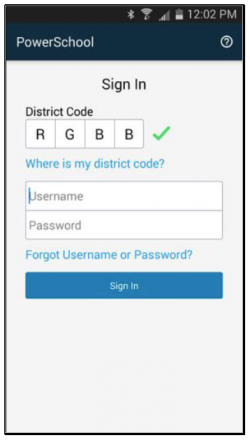 The easiest way to connect is to enter a four-character code that is used to locate the PowerSchool server. The code for Waukee is RGBB. If a green check appears, the district code is registered to a valid PowerSchool server. When you successfully log into the mobile app for the first time, PowerSchool Mobile App will ask you if you would like to receive “Push Notifications”. Push notifications will alert you when there is a change in an attendance or grade record. If you do not want these, do not click “OK”. If you would like to update your subscription preferences once logged in, navigate from the menu to Settings –> then to Notifications.